It's ironic that the byproduct of unhealthy refined sugar processing is full of beneficial and assimilable iron and magnesium, among other important nutrients. Why? Sugar cane has roots that go down as far as 15 feet below the ground. Thus the the mineral depleted topsoil is bypassed, enabling the plant to absorb minerals from richer, unspoiled bottom soil. After sugar cane is processed to obtain refined empty calorie glucose spiking insulin debilitating white table sugar, the black gooey mess known as molasses is left with all the nutrients. The very best grade of molasses is unsulfured blackstrap molasses. It's not the best for sweetening, but it is the highest in nutrients. Unhealthy sulfur is an added preservative that you can do without. Magnesium: Many nutritional experts call this the master mineral because it is essential to more metobolic processes than any other one mineral. Because of poor topsoil, the greens that normally are the best source of magnesium are mostly insufficient. You should have half as much magnesium in your body as calcium. Iron: Molasses contains more iron per serving than red meat! This can help vegans and vegetarians avoid anemia. And it's cheaper and safer as well. Calcium: Molasses contains about the same amount of calcium that you'd get in a glass of cow's milk without the growth hormones. If you can't find organic whole raw milk, grab your unsulfured blackstrap molasses! Potassium, which is nearly as essential as magnesium, especially for heart and kidney functions. Vitamin B: Molasses is high in vitamin B complex, good for energy while helping your body cope with stress. Chromium is a trace mineral that is rare in our diets. Helps your body maintain stable blood sugar levels. Other Minerals: Molasses also contains manganese, copper, and selenium. Enzymes: Molasses contains enzymes, which are the catalysts for metabolizing nutrients, and the reason why raw food vegans do that diet. But some blackstrap molasses and good veggie juicing will boost your enzyme levels regardless of your general diet. Unsulfured blackstrap molasses is a food, and it's best to get your minerals from whole foods rather than supplement pills. This is agreed upon more and more by top nutritionists. 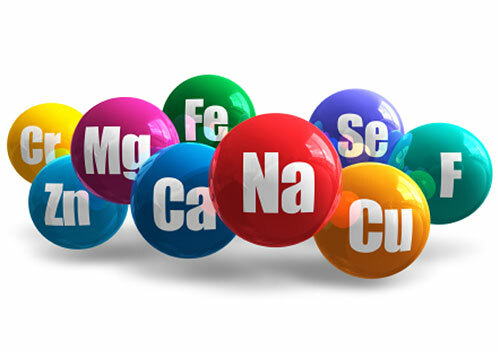 Even if the supplement is food derived, the minerals lack the synergy of its natural food source. Minerals are actually more important than vitamins because vitamins cannot be synthesized without minerals present. The order of importance for nutrients is oxygen, pure water, enzymes, minerals, then vitamins. If you intend to use the molasses contents in a couple of months or less, you won't need to refrigerate it. Since it is so thick, it's difficult to use in anything but warm or hot dishes. Molasses goes well with pancakes or waffles. Half-and-half with good organic syrup or honey will diminish the strong taste of molasses this way if you find it disagreeable. Molasses is great for oatmeal or any other hot cereal as well. Remember, a tablespoon a day provides a lot of nutrition. Some have simply mixed a tablespoon in a half glass of warm water and gulped it down. This technique is especially useful repeated often daily to help recover from iron deficiency anemia. Caveat: Many sugar cane growers use defoliants to get the cane leaves out of the way, making it easier to harvest them. There is such a thing as organic sugar. Try to track down molasses from organic sugar cane to optimize your health benefits by avoiding traces of chemical defoliants if you can. Are Zero Trans Fat Cookies a Myth?